Insider Monkey finished processing more than 700 13F filings made by hedge funds and prominent investors. These filings show these funds’ portfolio positions as of September 30. 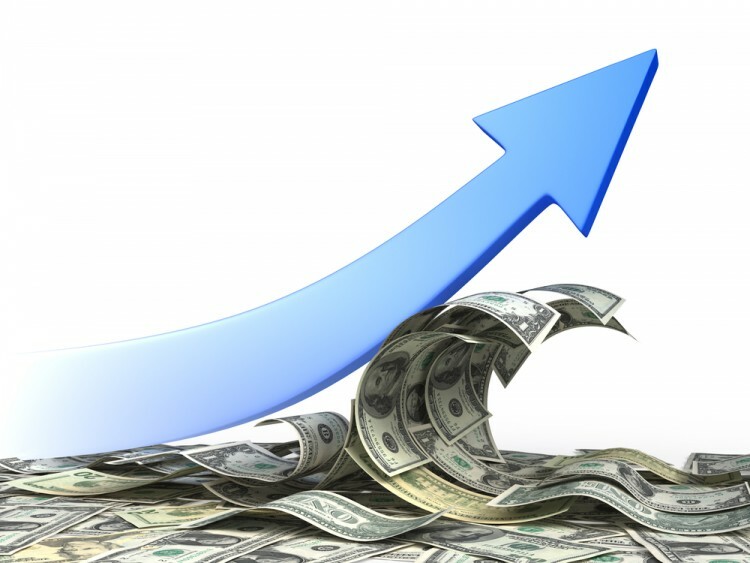 What do these smart investors think about Northern Trust Corporation (NASDAQ:NTRS)? Is Northern Trust Corporation (NASDAQ:NTRS) an outstanding investment now? Investors who are in the know are buying. The number of bullish hedge fund positions advanced by 3 in recent months. 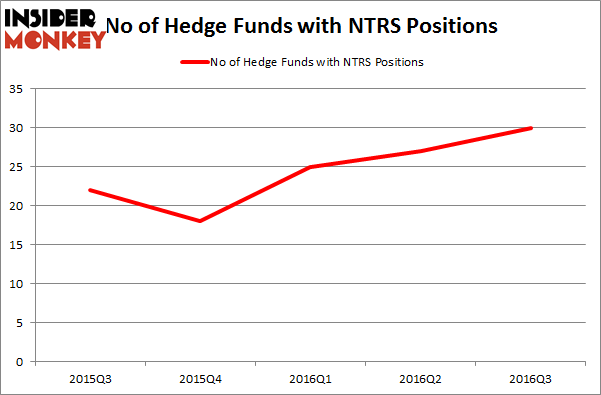 NTRS was in 30 hedge funds’ portfolios at the end of the third quarter of 2016. There were 27 hedge funds in our database with NTRS holdings at the end of the previous quarter. The level and the change in hedge fund popularity aren’t the only variables you need to analyze to decipher hedge funds’ perspectives. A stock may witness a boost in popularity but it may still be less popular than similarly priced stocks. That’s why at the end of this article we will examine companies such as TD Ameritrade Holding Corp. (NYSE:AMTD), Grupo Televisa SAB (ADR) (NYSE:TV), and American Water Works Co., Inc. (NYSE:AWK) to gather more data points. What have hedge funds been doing with Northern Trust Corporation (NASDAQ:NTRS)? At Q3’s end, a total of 30 of the hedge funds tracked by Insider Monkey held long positions in this stock, a jump of 11% from one quarter earlier, pushing hedge fund ownership to a yearly high. With hedge funds’ sentiment swirling, there exists an “upper tier” of notable hedge fund managers who were increasing their stakes substantially (or already accumulated large positions). Of the funds tracked by Insider Monkey, Ariel Investments, managed by John W. Rogers, holds the biggest position in Northern Trust Corporation (NASDAQ:NTRS). The fund has a $169.2 million position in the stock, comprising 2% of its 13F portfolio. The second largest stake is held by GAMCO Investors, led by Mario Gabelli, holding a $70 million position. Some other professional money managers that hold long positions encompass Dmitry Balyasny’s Balyasny Asset Management, Israel Englander’s Millennium Management, and Ken Griffin’s Citadel Investment Group.